Our Osiris air monitoring device measures airborne particles. The Osiris combines versatility with accuracy and is suitable for use in a wide range of locations and scenarios. It can be used for short- and long-term studies, simultaneously measuring TSP, PM10, PM2.5 and PM1 particles with a resolution of 0.1 µg/m3. In workplace mode, it will indicate inhalable, thoracic and respirable concentrations. The Osiris can be used as a portable instrument or deployed in a semi-permanent installation, making it the ideal monitor for studying short- or long-term pollution hotspots in towns and cities, and on sites where airborne particles are could be a concern and require monitoring. It can be housed in a lamp post box, and in addition to the facility to power by mains or battery, the Osiris also offers the option of powering by solar or wind power where practical. 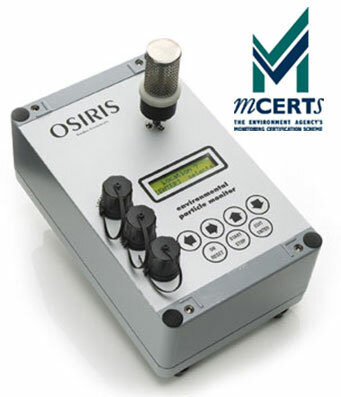 The Osiris has been Environment Agency MCERTS certified so users are guaranteed reliable and accurate recording of PM10 data. The Osiris, along with our other airborne particle monitors, works using Turnkey’s specially-developed nephelometer. Air samples are continuously drawn through the nephelometer, which analyses individual particles as they pass through a laser beam. The particles are then collected on the reference filter. The nephelometer’s microprocessor has the capacity to analyse individual particles, even if there are millions of particles per litre. The Osiris works with our specially-developed AirQ software. This enables results stored in the Osiris memory to be uploaded to your PC. 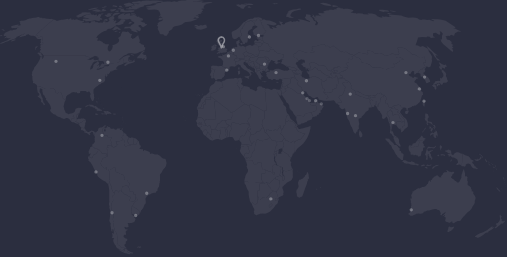 With AirQ, you can also use your computer to control the Osiris and collect results in real time. Data and results can then be easily reported and collated using AirQ. Graphs and tables can be exported to Excel for further analysis and reporting purposes. When used with a Turnkey Web Server, the Topas may be used with our AirQWeb online interface. Data is collected from the instrument, and AirQWeb provides a free, user-friendly platform for accessing, reviewing, and storing your data. It enables users to generate graphs and reports, which can be converted to Excel or PDF documents for further reporting and analysis. The Osiris can also measure wind speed and direction, temperature, humidity and rainfall or a range of other external sensors.